Find all the information you need to make your way to the American Royal and stay in style below. Visit Kansas City, KS is the 'Official Destination Partner' of the American Royal. Request a copy of their Visitor's Guide for an extensive list of lodging, shopping, restaurants, and entertainment near the American Royal. From the West: Take I-70 East to I-670 East, exit at Genessee and turn right. From the East: Take I-70 West to I-670 West, exit at Wyoming/Genessee/Hy-Vee Arena exit. Turn left on Genessee. The American Royal does not host any hotels or transportation for our exhibitors or competitors. 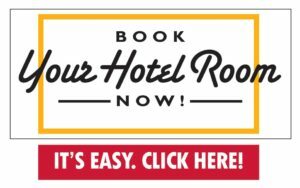 Please check out hotels in the area for availability. Visit Kansas City, KS is the 'Official Destination Partner' of the American Royal. For more information area hotels within close proximity of the American Royal, visit www.visitkansascityks.com/hotels/.